Your Bike Ride of a Lifetime Begins Here. 5 Iconic Regions. 65 Interactive Bike Maps. GPS Enabled. Mountain, Road & Cruiser Bike Rides. Tahoe’s definitive bike guide: detailed ride descriptions, GPS enabled interactive maps, mileage & elevation gain, photographs and unique historical background information. Plan your bike ride with Tahoe specific biking tips and up-to-date weather information. 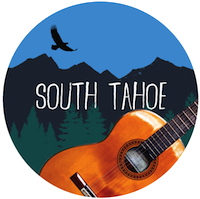 For hundreds of years, South Tahoe has been the place for refreshing the spirit. The Washo Tribe annually encamped here during the summer to gather food supplies for winter, and give thanks to the animal and water spirits. Later, gold seekers and Pony Express riders stopped here to refresh and resupply en route to the Gold Country. And today, visitors come to connect with nature’s awesomeness and enliven their spirit to the beat of world-class entertainment. 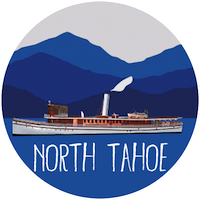 Since the mid 1800’s, North Tahoe is the place where water and business meet. Along its shores, water craft delivered timber and supplies to logging operations, supported a fishing industry, and ferried passengers around the Lake. Later, a narrow gauged railroad system along the lakeshore and Truckee River increased freight capacity and market mobility. Today, these same pathways have become bikeways and roadways that continue to stimulate a vital commerce along the water’s edge. 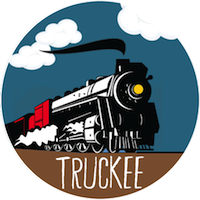 Named after a Paiute Chief, Truckee is strategically located on the river flowing 100 miles downstream from Lake Tahoe to Pyramid Lake in Nevada. 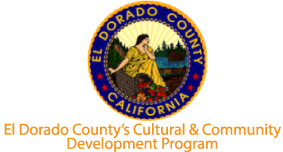 This river canyon provided an intuitive trans-sierra lifeline for Native Americans, emigrants traveling to the Gold Country, the Transcontinental Railroad carrying freight and passengers to commercial centers, and presently the Interstate commercial corridor. Known for supplying the mining industry with its logging and ice manufacturing in the late 1800’s, today the mining has shifted to recreational tourism. Escape to an uncluttered world of wildness where mountain peaks reach for the sky and free flowing rivers and lakes captivate you with their crystalline purity. Slow down and allow the silence and essence of nature’s beauty move you in ways that spark imagination, deepen your sense of peace or inspire an openness to be as expressive as the surroundings. 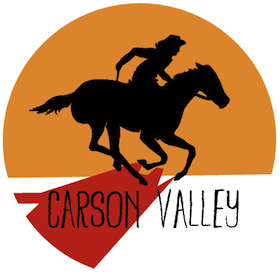 A historically rich and fertile oasis, Carson Valley continues to provide year-round water and lush grasses to support ranching that once fed weary emigrants traveling to the Gold Fields in the mid 1840’s, and silver miners in the 1870’s. 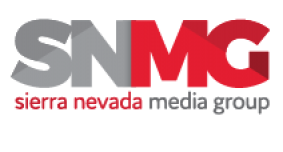 The fertile ground prompted Nevada’s first settlement being built at Genoa in 1851. Today you can ride and “belly-up” to the same bar, way stations and towns frequented by Pony Express riders, miners and emigrants during the 19th Century. 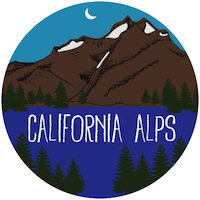 In the making for years, Bike Tahoe continues to be strongly influenced by a dedicated group of local bicyclists, bike shop personnel, and top professional ski coaches who regularly ride these routes. These bikeways have become recognized as the most popular rides that define the Bike Tahoe experience. Bike Tahoe is “Ultimate” because it has been designed to help you select the best bike ride for your interest, skill level and riding style throughout the Tahoe region. Whether you are a cruiser wanting to leisurely ride to the beach or a mountain biker wanting to test your skills on some of the country’s most scenic mountain bike trails, Bike Tahoe has a ride for you. You can also ride through history on the same roads the early pioneers and Pony Express traveled during the Gold Rush. We hope your experience is memorable and leaving you with the inspiration to return soon for your next Ride of a Lifetime.